General der Luftwaffe. 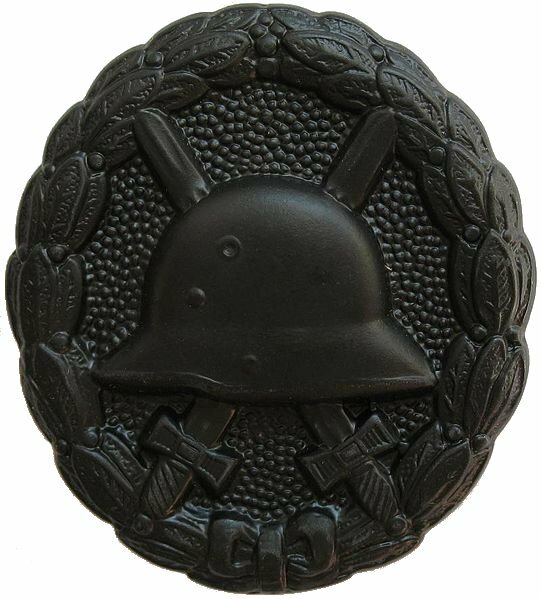 Kommandeur der 1st Fallschirmjäger Regiment. 01-07-1978, old age, 88, Bad Salzuflen. Bad Salzuflen, Stadtfriedhof. Feld 35-Grab 18/18B. Student, Kurt “Papa”, born 12-05-1890 into an upper middle class German family in the city of Birkholz. He hoped to be a doctor, but his family could not afford the education needed. Student’s mother died when he was 11. His father sent him to the Royal Prussian Cadet School in Potsdam in 1901, where he could train for a career in the military. Commander-in-Chief of the Reichswehr was Kurt von Hammerstein-Equord. The school emphasized strict discipline, sports, and loyalty to the emperor and nation. Student did well in school, except in mathematics. Upon graduating in 1911, he became a lieutenant in the Imperial German Army. In 1913, he trained to be a pilot in the army air force. After serving initially with a light infantry (Jäger) battalion, he underwent pilot training in 1913. He received his commission in 1913, and was transferred into what was to become Goering’s (see Hermann Goering) (did you know) Luftwaffe , but was then called the German Army Air Service. During the first war, he served as a reconnaissance pilot and he flew bombers. He became the commander of Fighter Group 9, nicknamed “Jasta” on 01-09-1916, with the new Fokker D, two wings airplanes. and in Berlin by the famous professor Wilhelm Tönnis . Tönnis died old age 80 on 12-09-1978, in Dortmund and Van Staveren died in his hometown Rotterdam at the very old age of 93 on 15-03-1997, and a grateful Student said to him: “Sie haben mir das Leben gerettet” you saved my life. Student did not return to duty until January 1941, more then 8 months. In particular, the parachutist attack on Rotterdam all but took the heart out of the Dutch defense, (see Jan Ackermans) such was its speed and ferocity The input of Student’s parachutists in the various attacks on Western Europe had done a lot to convince Hitler that they were an important aspect of his military. In May 1941, they were used in the attack on Crete, Operation Merkur (see Blücher brothers) under Generalmajor Bruno Bräuer. Student was thrilled at being able to plan the operation against Crete because an airborne assault of this size, without the use of ground forces, had never before been attempted. On May 7, Student flew to Athens where he learned that Goering had given overall command of Mercury to General Alexander Lohr. Under Lohr, Student and General Wolfram von Richtofen had to share command of the VIII Fliegerkorps.
. Despite their actual success in Crete against the British, New Zealand and Australians forces under General Bernard Freyberg, Hitler was shocked by the number of men of Student´s and General Eugen Meindl’s men killed in action and he ordered a halt to their use in future large-scale in any military operations. Both sides paid a high price in the battle for Crete. The British and Empire forces tallied 1.472 dead, 1.737 wounded, and 11.835 prisoners. The British fleet lost many ships and there were 1,828 dead among their crews. The Germans totaled 3.352 dead, including 1.653 paratroopers, and 3.346 wounded. and 151 Junkers were destroyed. As a result of this order, Student’s men were denied the opportunity for any more large scale raid by parachute. After D-Day, the 1st Parachute Regiment was used in an attempt to halt Bernard Montgomery’s advance to the Rhine, but it was action on the ground. of the 82nd Airborne Division and Generalfeldmarschall Erwin Rommel, reached Kandanos, following Student’s order for reprisals. The Germans killed about 180 residents and slaughtered all livestock; all houses were torched and razed. Nearby villages such as Floria and Kakopetro met a similar fate. After its destruction, Kandanos was declared a ‘dead zone’ and its remaining population was forbidden to return to the village and rebuild it. Horst Trebes was killed in battle during the fighting in the hedgerows and break out of the Allied armies through Saint-Lo on 29-07-1944 (aged 27). in Holland, near Arnhem “Bridge too far”, on 28-09-1944 during Operation Market Garden, (see About) (see Walter Model) (see Wilhelm Bittrich) (see Hans Peter Knaust). He died later in the Reserve Lazarett, Dorsten. Hans Dietrich was buried on the war cemetery of Stahnsdorf. Death and burial ground of Student, Kurt “Papa”. Student was known for his energy, intelligence, precision, and drive. Student had few interests outside of his career and hunting. Kurt Student died old age 88, on 01-07-1978 in Bad Salzuflen and is buried with his son and wife Gertrud, born Beer, who died old age 86, on 21-05-1978, on the Stadtfriedhof of Bad Salzuflen.